This book is about several topics – cooking, traditions, and strong personalities. The book starts in India, Mumbai, where the reader gets to know a little about the Haji family, who own a restaurant. Because of some events involving religious and financial differences between people who live near the restaurant, the Haji family leaves India and moves to London and then travels in Europe and ends up in France. There, the head of the Haji family decides to open a restaurant in just the perfect place for one, except for the fact that there is an excellent restaurant at the hotel a hundred feet across the road. The story continues with several “battles” between the owner of the fancy classical French restaurant, Madame Mallory and Papa Haji, but also with the story of one of the Haji kids – Hassan, who has a talent for cooking, and learnt to cook from his mother. That’s about it for what the book is about. It is certainly interesting, as you don’t know what is gong to happen from one page to the next… the characters stay the same despite the fact that the whole book takes place in about 20 years or so. The only thing I found curious was that Hassan doesn’t return to Indian cooking until later in the book (maybe because his sister does keep cooking some Indian foods for him?). Now, there is a movie (you can watch the trailer here), that is (I’d say rather loosely) based on the book. I watched the film about twelve hours after I finished reading the book and I was quite disappointed, since I did like the book, but in the movie things are very different. It might be good though – if you’ve seen the movie, read the book, you’ll be surprised as to how much more happens in the book. 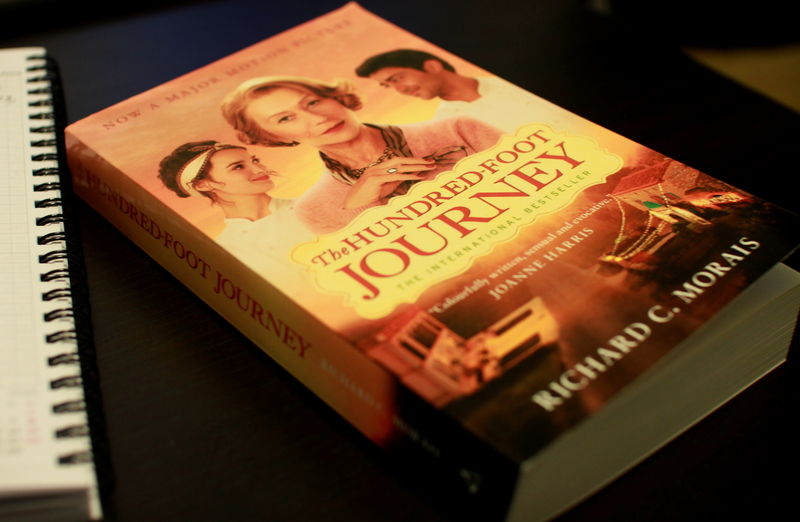 This entry was posted in Fiction and tagged book review, books, Richard C. Morais, The Hundred-Foot Journey. Bookmark the permalink.